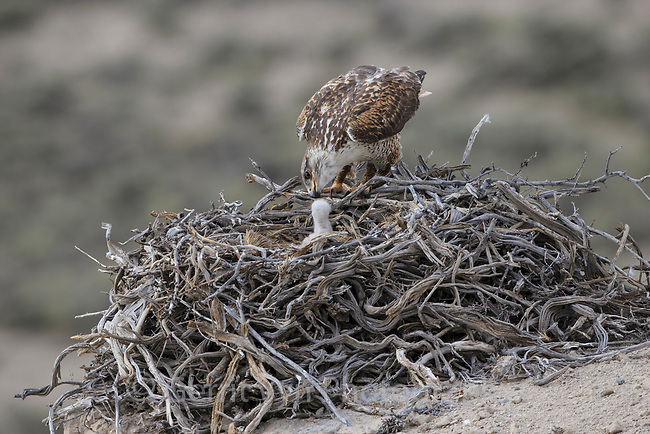 Ferruginous Hawk (Buteo regalis) feeding its young chick at the nest. Sublette County, Wyoming. June.